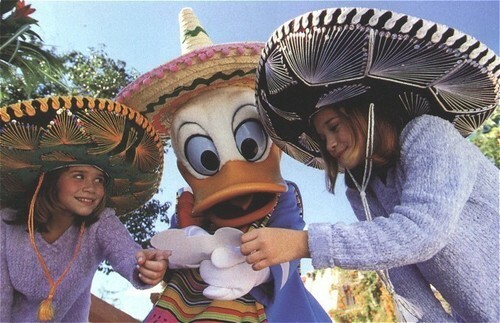 Disney World Adventures. . Wallpaper and background images in the Mary-Kate & Ashley Olsen club. This Mary-Kate & Ashley Olsen photo contains sombrero, snap brim hat, and campaign hat. There might also be pith hat, pith helmet, sun helmet, topee, and topi.